I think it’s time for a little bit of fun. 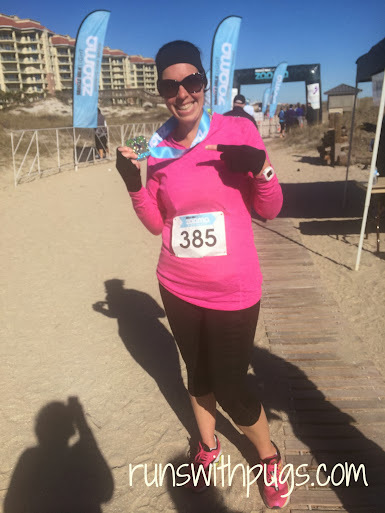 Jesica, over at RunLadylike posted a really fun survey, that she found through Amanda at Run To The Finish, who was inspired by Amanda of Diary of a Semi-Health Nut, who all, in turn, inspired Kristin at A Mom On The Run, and so on. It’s always great to read everyone’s answers and see how runners differ across the board. 1. …run a 5k or a marathon? I’ve never run a marathon, so this is hard to answer. I don’t really love 5Ks, but they’re done and over relatively quickly and I can get on with the rest of my day. I really think 10Ks are my favorite, followed by half marathons. 2. … run a flat race in the heat or hilly race in the cold? Flat race in the heat, any day! I don’t mind hills, exactly (I do live in a pretty flat, at sea level state, so I do my best to incorporate elevations where I can) but the cold is a huge deterrent for me. I just can’t breathe properly and my limbs get incredibly stiff. It’s a good thing that our winters are short or my training season would be pretty limited. 13.1 miles later and I still think I’ll never be warm again. 3. 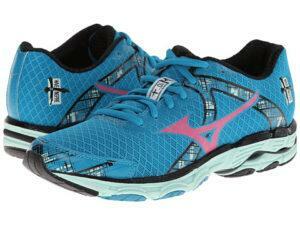 …get new running shoes or a new running outfit? Both, please! Right now, I am just about ready to start cycling in a pair of new shoes, so I have my eye on these beauties. 4. … run a marathon without headphones or Garmin? Without headphones. I like having music, but I run without my iPod a lot. I go out very early in the mornings, sometimes alone, and it becomes a safety issue for me. Then, when the sun comes up and it’s less of a risk to plug in, my superstitious nature kicks in and I keep the headphones out because I don’t want to jinx my progress by changing things. Sometimes, I can be pretty ridiculous. 5. … race because of the convenience (location, price, travel) or the swag? I have to be really motivated to run a race. I would rather register for something that excites me than just because it’s local and reasonably priced. In some cases, the incentive is the swag. I HAD to have that medal. In others, the destination is the motivator. A lot of my bucket list races are out of town, and I think that makes for a fun trip, especially since Mr PugRunner and little man enjoy races, too. 6. … PR but result in an injury or finish strong and missing a PR? Finish strong! Having spent several months injured, I want to avoid that again at all costs. While PRs are awesome, I try to keep my eye on the big picture and staying healthy. Um… Real pushups or “modified”? Because I can do modified push ups all day long. Does that count? 8. …. run without socks or without sports bra? Obviously without socks. For the good of everyone, including myself. As I have mentioned before, I only wear socks for running, and even then, I really dislike them. No contest here. 9. … run on a treadmill for an hour or run around the same street block for an hour? Bring on the block! I can’t deal with treadmills. I wish I could, but I am uncoordinated and terrified of falling off. Also, I find running in place even more monotonous then looping the same block over and over and over and over. At least outside, I have a chance of seeing something like the sunrise or an errant alligator or a cute puppy. 10. … run a Ragnar Relay or Marathon Relay team? Ragnar, for sure! I don’t even know why! All those people, sweating profusely and crammed into a van, catching cat naps along the way? Sounds awful! And awesome!!! Must make it happen! 11. … do a naked run or naked yoga? If by naked, you mean fully clothed, then yes. Both of those. For sure. But I think the real answer would be run naked. With a bag over my head. 13. … give up running for a 3 years to get a BQ or never BQ but run as much as you want? I really hate to admit it, but Boston just isn’t on my radar. At all. Sometimes, I get myself psyched up and think “BOSTON! YEAH!” but I think that’s more the Fear Of Missing Out rather than actual desire. So in answer to the question, I would rather never BQ but be able to run as much as I want. Feel free to answer all or some of these questions in the comments, or go ahead and share your own on your blog. Make sure you link back to me so I can see your responses, too! 20 Responses to would you rather… ? I really want to do a Ragnar too! Ok. let’s hold each other accountable. At some point, Ragnar will happen for both of us! I love all of your answers! You’re too funny! Stacie Seidman recently posted…Would You Rather…. I CAN FINALLY COMMENT ON YOUR BLOG AGAIN!!!!!! <-- Do hear that? I'm excited. Thanks for playing along! Yay!!!! That makes me happy, maybe now I’ll get some feedback from readers! Thanks for posting this, I love these! how far you have come!!! I laughed when I read you want a new running skirt, and remembered back when you said you couldn’t see yourself in one due to your legs… now look at you. Well done.. those are fun questions. I think I am looking to do my first 10k. That seems very doable to me. I know! And to make you laugh even more, I have possibly, maybe considered a pair of shorts. Maybe. LOL! 10Ks are great. For me, the first three miles are incredibly hard. So the idea of getting those out of the way, getting to that really GOOD point of running, and finishing with a huge grin… that’s what I love. They are hard to find, at least around here, but when they come up, I try to run them. I’m with you – I’ll take a flat race in the heat over cold hills ANY DAY!!! I’m with you on the no sock train! I HATE socks. You know that I’m really cold when I put socks on… I’ve also skipped workouts for lack of sports bra…even though my tatas are teensy! And is it weird that I love being naked? But I’d probably choose naked yoga over running (GASP!) just for the aforementioned need for a sports bra!! Finally! Someone who understands my dislike of socks!!! I love 10k’s too. The training is easy, the race doesn’t take up the whole day (you’re fine after), and they are fun! They are really great! I hope I can do another one soon! I am eyeing Ragnar Keys in 2016. It sounds like so much fun. Corie @Olivetorun does these would you rather, cause I’ve done this survey before, it’s so much fun. Love you answers “if you mean fully clothed’, that made me giggle (in a good way). I’m with you on the cold…I HATE it! And I want to do Ragnar!! We really need to create a team!